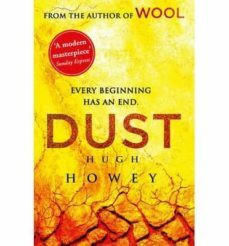 This is the much-anticipated final instalment of the Wool trilogy. "The next Hunger Games". (The Sunday Times). "Thrilling, thought-provoking and memorable ...one of dystopian fictions masterpieces alongside the likes of 1984 and Brave New World". (Daily Express). In the aftermath of the uprising, the people of Silo 18 are coming to terms with a new order. Some embrace the change, others fear the unknown; none have control of their fate. The Silo is still in danger. There are those set on its destruction. Jules knows they must be stopped. The battle has been won. The war is just beginning.